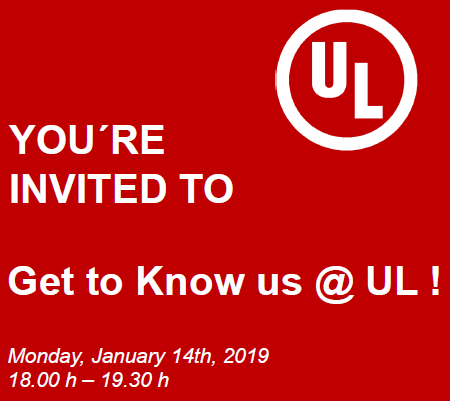 On January 14th, from 6 to 7:30 pm, we invite you to “Get to Know us @ UL!”, On the sidelines of the BAU 2019 fair. You can talk with our experts together with UL officials about the “Global Market Access” “, for testing and certification according to EN, UL, BS. Booking required. To book, click here before January, 7th! There will be limited places available!! !